Once upon a time bands got financing from labels to record physical albums that were then mailed to stores. It’s not exactly news that things don’t work that way so much anymore. But while the Grants Pass/North Bend based art-rock smorgasbord Rogue Rebellion’s new album, Corporate America, is an explicit statement against that model, it’s also a surreal reminder of how much weirder it is now. He’s not wrong. But how weird is it that we’ve reached a point where that’s a message included at the start of a free streaming audio version of an album on a streaming video site? Regardless of broader technological context, it’s a good album, in large part because of those lower frequencies O’Drinnon is all a-twitter about. The collection starts with “Make Believe,” a mid-tempo lamentation about impermanence with a good beat and a punchy horn line. It doesn’t have the grit of classic soul, but it’s got the vibe. The next tune is a folksy tune with a slamming low end, and a great accordion line. The fifth track, “Honey Suckle,” rocks a garage rock vibe with a swung beat, organ and a grungy riff. Things close out with a haunting violin and flute line over slow ska chords in the song, “People in the Dark.” Then it goes into screeching 8-bit bonkersness, and right back again. It’s wonderfully unexpected, and a strangely good match. Overall, the collection is catchy, eclectic, mildly subversive, and really well-arranged. The violins and horns and broader instrumentation throughout, give the band what could be described as what Gogol Bordello might sound like if they sprung from the bluegrass and forest-reggae vibe of So-O, instead of the Eastern European folk. It’s an unusual sound, and one that could easily have legs. 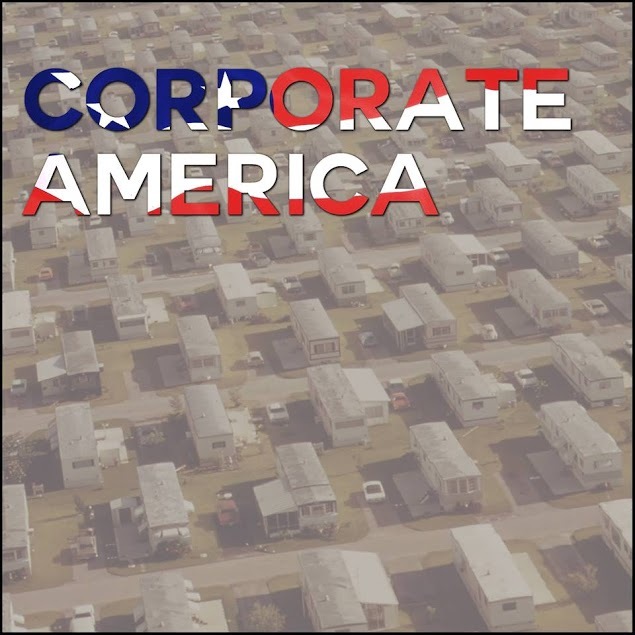 Corporate America is available for streaming and download on YouTube, Soundcloud, and via Google Drive. You can find links to all those locations on the band’s Facebook page. Wow Josh, Truly excellent and insightful review.